The Stockholm electro trio, back with their Waiting for Desire: 9 Nuances of Skacid EP, fear the eternal embrace of Beethoven. Revl9n isn’t a name that slips off the tongue. Is it Revlon 9? Revl-eye-n? “We used to be Revlon 9, but changed it to Revl9n,” says lead singer Maria Eilersen. Because of the nail polish? “Kind of. We let people try and figure out the new pronunciation.”) Either way, the avant-garde pop/eclectic minimalism/trash maximalism trio have managed to keep their ambiguously pronounced name on the lips of those in the know, and are following up their 2006 "next big thing" peg, earned on the back of their debut hit "Walking Machine", with an album full of multiple remixes of the same song. 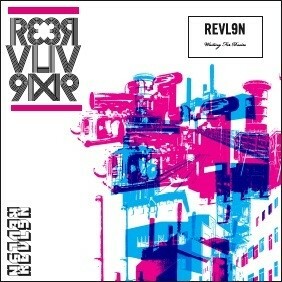 Not the most conventional way to create an album, but Revl9n are not a conventional band. “We’re more famous for our remixes by the likes of Sebastian and SMD than original work, so we decided to compile 9 remixes of a song. We did it in a skacid way. My favourite one is 'Sci-fi Skane and Inglagranti',” muses the model-sized Eilersen. Previously on limited release from Rough Trade, the Waiting for Desire: 9 Nuances of Skacid EP is available again in August.